This title will be released on July 25, 2017. Return to New York Times and USA TODAY bestselling author Liliana Hart’s romantic suspense series, the Gravediggers, with this thrilling game of cat and mouse between a member of the Gravediggers and the brilliant woman hot on his heels. 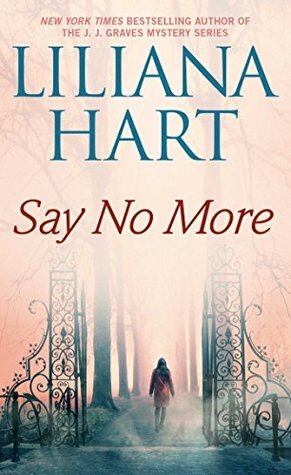 Liliana Hart is a New York Times, USA Today, and Publishers Weekly bestselling author of more than forty titles, including the Addison Holmes Whiskey and J.J. Graves Mystery series. Since self-publishing in June 2011, Liliana has sold more than four million ebooks. She’s hit the #1 spot on lists all over the world, and all three of her series have appeared on the New York Times bestseller list. Liliana is a sought-after speaker who’s given keynote speeches and self-publishing workshops to standing-room-only crowds from CA to NYC to London. I dont read many adult books but this one hit it out of the park. So many thanks to the publisher for sending these to us for review becuase man I am hooked!! Hart is by far my favortie new adult author of the year. I couldnt put this one down and the characters, story, plot and everything just came together. So much of this would be a spoiler so I cant say to much but man if you loved the first two books you will freak out about this one! I cant wait to check out more from this author.